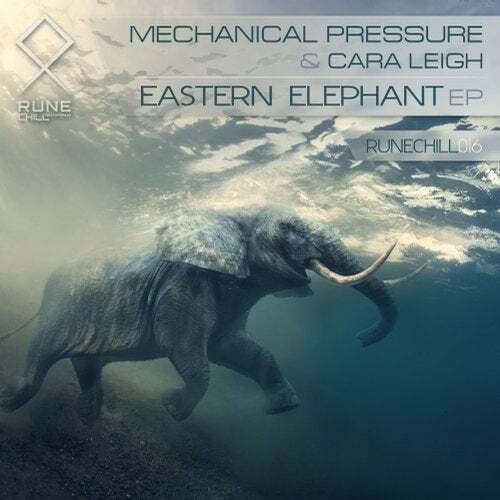 RUNECHILL015: Mechanical Pressure & Cara Leigh — «Eastern Elephant» EP — the lyrical revelation of the maestro Mechanical Pressure with the spellbinding vocals of Cara Leigh. The other side of Alexey's musical talent, which we are happy to show up with the release on RUNE CHILL Recordings. The title track «Eastern Elephant» inspires the eastern ease while the atmospheric «Heal», like a lullaby, tames the tumult of feelings. Both tracks have a relaxing effect and calm the consciousness. Dive deeper, friends. Art Project ? !, Katrra, Skinder, E.M.I.